A dynamic adaptation of Kafka’s last, unfinished novel. Far from home, K. struggles to unlock the secrets of the castle. He wages a war of wits against the elusive official Klamm, certain that it is only by standing face to face with the divine authority of the castle that he will ever find his place within this strange society. Old Dog Theatre’s visual storytelling combines both puppetry and physical theatre to breathe new life into Kafka’s poignant exploration of man's place in society. 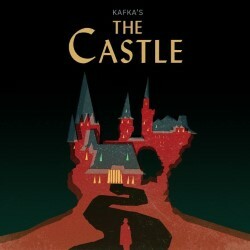 Will K.’s pursuit of the castle alienate him from his fellow man?